This weekend their was a rare screening of Star Wars Episode II: Attack of the Clones in San Rafael, California, followed by a Q&A with Denis Muren afterwards. Muren, who had worked on the production of five Star Wars films and supervised the 3D conversion of the prequels, made a few revelations about the 3D conversions. Our friend Jason Ward of MakingStarWars.net was in attendance at the screening and tweeted out the reveals. The biggest reveal was, that the conversion work on Revenge of the Sith had been completed before the 3D re-releases were postponed. 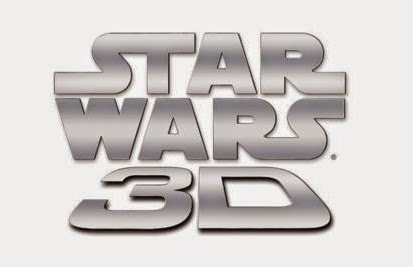 Muren also stated that he believed the 3D versions of the prequels would see a theatrical release, but not until after the release of Star Wars Episode VII: The Force Awakens. For Revenge of the Sith 3D, Muren said they made Anakin's eyes go in deep for the 3D and it looks creepy and great (to paraphrase). For the #StarWars 3D releases, they literally rebuilt the actor's faces. Sounds like Muren thinks there's still hope for the 3D re-releases. I hate to disagree, but I'm skeptical they'll see anything more than special screenings at events like this and Celebrations (prove me wrong Disney!) Also, it's interesting to know that the work on Episode III was completed. Hopefully it gets some screenings as well. I really want this to happen. I enjoyed seeing Ep 1 in 3D. Any time I can see these movies on the big screen is a good day! I lived across the street from a theatre when Ep 1 3D was in theatre and I saw it at least a dozen times.